Here’s our eco-rated list of great places for close, but not too close, holiday travel from Vancouver, B.C. Snowmobilers will find amazing country roads near this region. The closest downhill skiing area is Stevens Pass (in King County), which is fully equipped ski area offers a variety of terrain for downhill skiers of all levels. It has a vertical rise of about 2,000 feet. If you want to take the easy way out, the county also offers Roads2SnohomishTours to explore the area. Each one-day adventure includes private van transportation, entrance fees to all scheduled sights and lunch. The tours begin with a pickup at Everett-area hotels or at the Everett Amtrak train & Bus station. Snohomish has plenty of campsites open year-long. Kayak Point Regional County Park sits next to a spectacular beach. 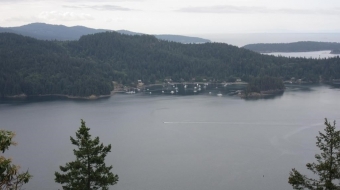 It has a 3,300 feet shoreline and amazing evergreen forests to add to its list of full amenities that includes picnic shelters and tables. View more campsites here. Country Cedar Inn is located on 5 acres. Get a grand view of Mt. Pilchuck and Three Fingers in the Cascade Mountain Range from the expansive wood deck. This quiet little escape is nestled in quaint Granite Falls. Click here for more lodging ideas. 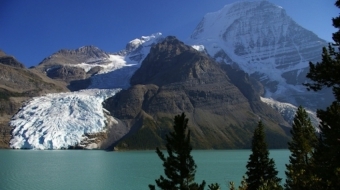 Lake Louise stands as the symbolic poster image for the Canadian mountain scene. At about 2.5 kilometres long and 90 metres deep, the lake provides the world with the most scenic skating rinks during the winter. The Lake Louise village is the highest community at 5,033 feet. The Town of Banff, at 4,537 feet, is the highest town in Canada. There are many options (other than taking a flight) to get to this snowy capped goodness. You can take the greyhound, which would take you 9½ hours to get there, not counting stops. Although VIA rail doesn’t directly go through this route, it provides an intermodal connection at Edmonton from a VIA train to a Red Arrow Motorcoach. Cross-country skiing, dog-sledding, snowshoeing, snowmobiling; just take your pick of winter activities. Lake Louise is Canadian postcard perfection with snow-capped mountains surrounding a glacier-fed lake that freezes over during winter. The Fairmont Chateau Lake Louise is an incredibly scenic free skating rink, with a heated shelter, right on the lake. No wonder it snagged the top spot on CNN Travel's "10 most beautiful ice skating rinks in the world." So maybe you don’t want to be active on your vacation, but you still want to gloat and say you were on the mountains this season; why not go down the hill on an inflated tube? Snow tubing is an interesting twist to tobogganing that comes equipped with a towing system that will pull you back up to the top. You don’t have to go alone; the sliding lanes are large enough that you can go down alongside your friends and family. Make sure to stop at The Lake Louise Ski Resort, the first resort the Canadian Rockies to introduce an Environmental Management Department, to try this unique adventure. 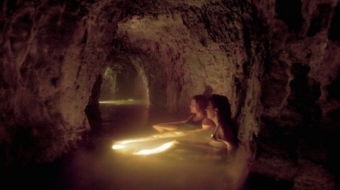 Just a quick ride away, Hot Springs in Banff National Park lets you sink into warm steaming waters. Suddenly, it doesn’t feel like winter anymore with the water temperature kept between 37 and 40 degrees Celsius, making them an ideal to soak in year-round. Since you’ll be visiting one of the best skating rinks in the world, why not stay there overnight. The Fairmont Chateau Lake Louise participates in Green Key Eco-Rating Program, which measures lodging’s impact on the environment. They also have cross-country skiing and snowshoeing on site. A little further away, but also a part of the Green Key Eco-Rating Program, is Emerald Lake Lodge. The 85 guestrooms come with fireplaces and coffee/tea makers. The lodge was listed in the 2012 Condé Nast Traveler Gold List of the world's best places to stay. Click here for additional lodging options.